Sober Look: The Black Swan of Jeane Dixon. The Black Swan of Jeane Dixon. A brilliant commentary written by Mark Gimein (The Big Money) called Swan Song is worth a read. Gimein addresses one of the most fundamental concepts in finance. If you create two portfolios, one of which will be a buyer of out-of-the money options, the other will be a seller of the same options, the two portfolios together will grow at the riskless rate. Most of the time the portfolio that is the seller of options will make money gradually, while the portfolio that is the buyer will lose money. But once in a while the option seller will lose a large amount, while the buyer will make that same large amount. The two portfolios are just the opposite sides of the bet that on the whole is neutral. But in that rare occasion when the buyer portfolio makes that large amount, the manager looks like a hero. And as Gimein points out, the seller looks like an idiot. However if you dig a little deeper, the options buyer has been losing money for years. And that’s where Nassim Taleb’s story comes in. He is the “options buyer”. One thing to be said in Taleb's favor is that he has never lost a spectacular amount of money at once. Three times now he has made money when few others did. The first was in the 1987 Black Monday stock market crash, when he made $35 million to $40 million as a trader. The second was the tech stock crash of 2000, when Taleb's own fund, Empirica, gained 60 percent. And the third is Universa. What you might miss in this, though, is what happened to Taleb in the in-between years. Taleb, in the pre-Universa days, said that his Black Monday windfall made up 97 percent of the money he'd made. Afterward, he moved through several trading jobs without much success. In 1999, he started Empirica, which, as the Wall Street Journal reported, followed the gains of 2000 with several lackluster years and closed in 2004. Taleb is actually a great example of what’s called the Jeane Dixon effect. 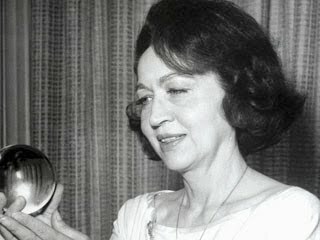 Jeane Dixon was the famous psychic who predicted that President John Kennedy would die in office. She also predicted a number of other scary things like World War III starting in 1958. The Jeane Dixon effect refers to the tendency of the mass media to hype or exaggerate a few correct predictions by a psychic, guaranteeing that they will be remembered, while forgetting or ignoring the much more numerous incorrect predictions. And since the credit crisis we’ve experienced, Taleb has been on a continuous tour, pushing his book, the Black Swan, the holy grail of the options buyer. The mass media and numerous bloggers love the sensationalism this has created and all jumped on the doom and gloom bandwagon. As an options buyer you can eventually make money too and look like a hero. But in the mean time buckle up for some slow grinding losses.